New Lines, New Looks, New Sales! Call Now For Our Newest Arrivals, Pricing & Details! Enhance your home's aesthetic value with the help of professionals at Bella Casa. We have served Portland, Oregon's beautiful Pearl District and Greater Portland Metro since 1997. Bella Casa offers a wide selection of unique, one of a kind furniture pieces and accessories, that are in-stock and ready for your decorating needs. Whether it's artistic bedroom sets, mid-century sofas and chairs, fun decor, or stylish living room furniture, we have it all. All of our products are priced to move, but we also have regular sales of up to 50% special items. Call today, and find out what our best new deals are! Come to Bella Casa, where you can find something unique and beautiful that won't break the bank. 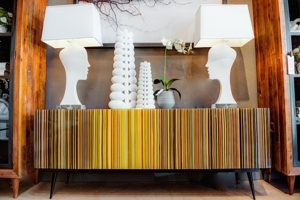 With years in the design and home furnishings business we can help you attain the style you want to achieve. Covering styles from Modern to Mid - Century and everything in-between, we have the look you can be proud to maintain. We assure you that we can make every room in your house look beautiful and unique. 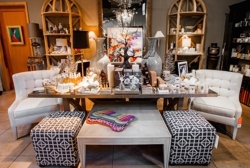 Bella Casa is more than just a furniture and home decor store... Come see why today! Call (503) 388-4065 For New Inventory! Bella Casa collaborated over 2014 with KATU's AM Northwest on the monthly interior design segments, titled "E' Bella". Call us for Comprehensive Interior Design Services! Copyright © 2018 homefurnishingsportland.com All rights reserved.